Disclaimer: The qdc Neptune sent to us for the purposes of this review is a sample and does not have to be returned to qdc. Thank you to distributors Soundwave Audio Visual Store and qdc for giving us this opportunity. Though I did not directly receive the Neptune from qdc I had the pleasure of meeting them at CanJam Singapore 2018 a few weeks ago. This is the first time I really got to discuss in detail their product line up as well as inspect the quality of their craftsmanship. Our previous review of their high-end Gemini was expertly discussed last year so the Neptune is my own first encounter. For those that do not know qdc is a Chinese specialist in custom monitors ranging from entry-level models such as the Neptune up to summit-fi creations such as the Gemini and Anole V6. I strongly suggest you try out their range. From my own demo time, I think these guys are dark horses in terms of impressive sound and unbelievable build quality. 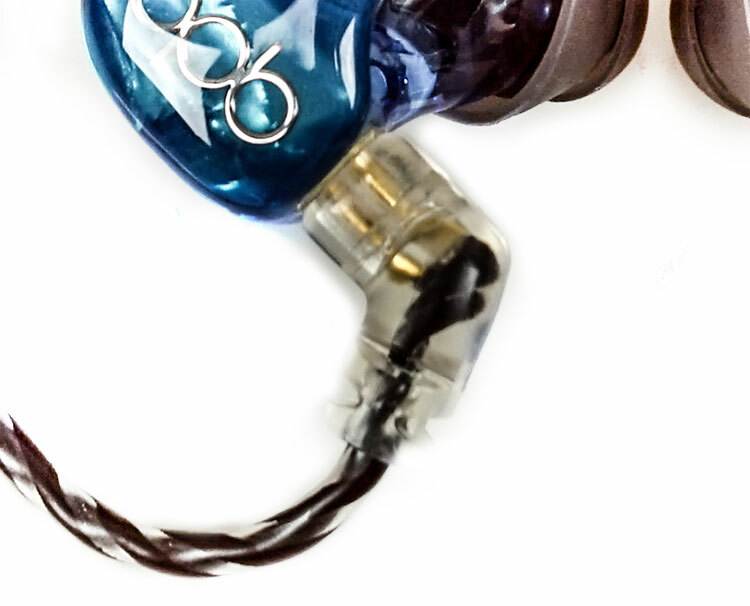 The Neptune is a single full-range balanced armature universal IEM priced at $198. It is qdc’s entry-level universal IEM and priced at a point that should appeal to a wide base of more budget-conscious audiophiles as well tap into music loving consumers in general. The 10Ω impedance rating is further evidence that qdc see the Neptune as an IEM that should match with just about any source rather than purely summit-fi or powerful DAPs. 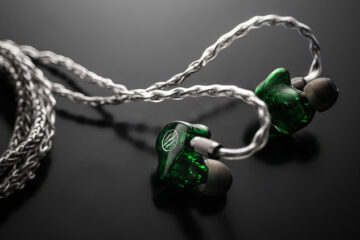 The use of a single BA is also growing in appeal for IEM designers. In fact, I would argue there is quite a healthy fan base growing over the last year or so considering the amount of single BA IEM’s coming out around this price point. People enjoy single BA’s because of their generally accepted tonal coherence compared to many multi-BA alternatives. The final pitch is the semi-custom design for the Neptune. 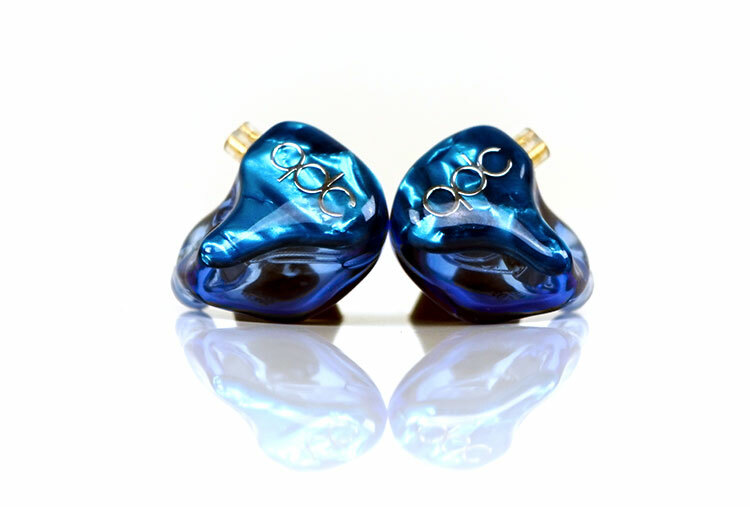 qdc have gone on record as stating the Neptune is hand designed and shaped using tons of ear impressions they have received over the years to produce what they view as the most typical universal ear fit. We have seen variations of this before such as iBasso and Jomo and they tend to work very well indeed. From the top down the Neptune looks very much like custom monitors so qdc is true to their word in building a semi-custom design. This is an acrylic hollow body shell with an inset faceplate. qdc are using a short nozzle and protruding lip for the Neptune as the only concession to universal design standards. The short nozzle will allow for the tips to take up the slack that qdc cannot design for and that is our unique ear canals. 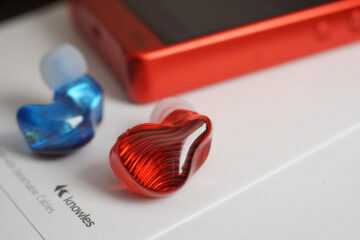 The Neptune form factor is as I expected and consistent with the likes of iBasso’s IT01 and Jomo Audio’s Haka. There is a concaved contour underneath specifically to accommodate the outer ear concha ridge in your ear. In doing so it relieves a little bit of pressure that can build up with other IEMs that lack that dip. It may seem trivial but it is a big thing once you start wearing them for long listening sessions. 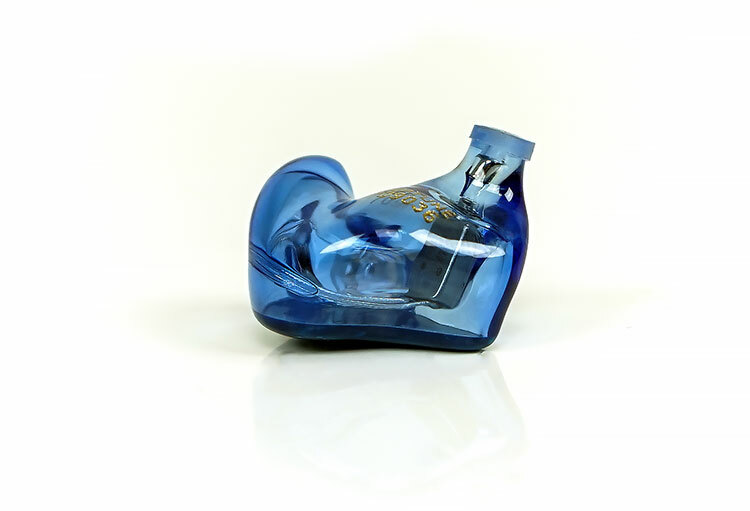 The entire design is handcrafted using blue mica translucent body shell finish and an ‘ultramarine transparent’ faceplate. There is only one tone and set of materials for the Neptune so you cannot customize the color scheme. It does fit in though with its ‘watery’ theme and the faceplate, in particular, has some nice perceptual depth to it. It is also smooth, bubble and imperfection free. Considering they are all handmade I find this level of finish to be nothing short of astonishing. You have to remember it is a single look, made time and time again by hand. Either you get good at it or you get sloppy and bored and qdc certainly are not the latter. Now, this is where it gets interesting. As far as I can see the Neptune uses a 0.78mm 2-pin connection however with 2 key differences. The first is that it is a protruding rather than flat or recessed connection. This is something I am used to with Unique Melody and I do like the reasoning behind them. The raised connector should eliminate the possibility of loose connections with the slide over plastic connectors on the cable. This type of connector design is also more rugged and better at preventing particles and dust from entering during use. It is also intended as a more ergonomic design for fitting the cable around your ear since the cable itself is fitted with curved connector barrels that sweep around your ear easily. The second difference is quite an important one and that it the reversed polarity of the Neptune’ sockets. In layman’s terms that means they are back to front compared to the usual 2-pin configuration in aftermarket cables. Now it does not necessarily mean you cannot change the cable. You can. However, it does mean you have to put your cable on back to front. That will mean memory hooks and general guidance wiring of most cables may leave you with a wearing experience less than ideal. That is a curious design choice indeed. The stock cable is 1.25m in length, and what looks to be a 4-core OFC in PET braided wrap. The gold-plated 3.5mm stereo jack is quite a nice finish actually with a grippy gunmetal barrel and reasonably solid plastic strain relief tubing. The y-split also has a matching gunmetal barrel finish. The 2-pin sockets are slanted to accentuated that curved flow and make it nice and easy to run over and around your ear. The stock cable also comes with an in-line voice mic and playback module on the right-side for those wishing to use it with their smartphones to take calls or just simply DAP track playback control. On Android, the playback and mic support is smooth, clear and even. Volume is well controlled going up in single steps per click and playback control has very little if any delay in response times. There is no iOS support as far as I can tell for the in-line for playback controls. The Neptune is actually quite small. Being small combined with its inner shell concave means it will sit quite deep in the basin of your outer ear negating any concerns about its short nozzle. The comfort levels, much like the Haka and IT01 are superb as a result of those little but very important design choices. The nozzle does have a slight bend much like you would find in a custom design also so the tip pressure is more central than biased to one side or another. That being said the Neptune does rely a bit on tip choices to get that final level of seal and isolation. qdc do supply a number of tips but all are silicone in a single or dual flange configuration. The small dual flange tips are truly tiny. I am not entirely sure who would use them, perhaps little people? I would have thrown them out and put in a single or two set of foam tips in a medium and large format just as a 3rd choice. Using the stock tips the isolation is just average and it will produce a generally brighter signature. Foams on the Neptune delivers better levels of isolation as well as a bit more body to the signature. This is some very nice packaging indeed from qdc for the Neptune. 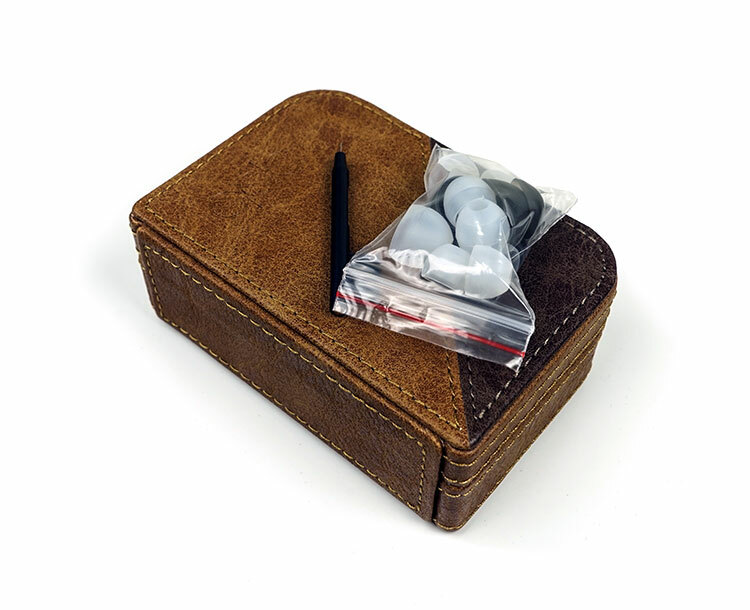 This is a full display book cover style box which opens up nicely to display the IEMs in all their glory. Underneath you get what I call a fair complement of accessories including the single bore and dual flange tips in s/m/l size and a cleaning pick/brush. You also get a small velcro organizer strap for the cable. However, it is the carry case that I want to drool over because its fantastic at this price point. 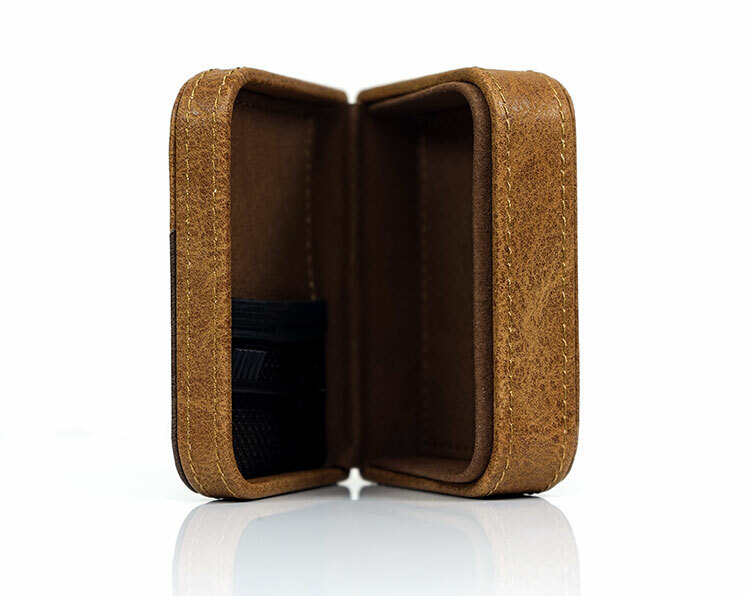 This is a boxy faux-leather tan finished design with a magnetized top lid locking system. Inside the ceiling has a small mesh canopy for storing tips and the brush and plenty of space for cables and the IEMs below. Maybe not quite on the level of Campfire Audio’s beautiful fur lined zip cases but it still has a very nice retro look. This is a grade above the usual pill boxes I tend to see at this price point, perhaps only RHA come close to providing such a good case but it is not as beautifully finished as this one. Have you tried Effect Audio, Plussound or OC Studio for aftermarket cables? Hi, can anyone link me to a place where I can buy reliable replacement cables for the Neptune and Gemini? I can confirm that Neptune’s in-line controls work on iOS devices as well. Probably an Acoustune HS1551 CU or an IEMMatch 2.5mm/3.5mm cable and the Neptune will be fine. Thank you for this great review. The box is really original!